Iveco Defence Vehicles (Iveco DV) announced that on December 19, 2017 the company signed a contract with the Romanian Ministry of National Defence for the delivery of 173 military logistic vehicles, to be completed within 2018. This is further testament to Iveco DV’s leadership in technical and economic terms. 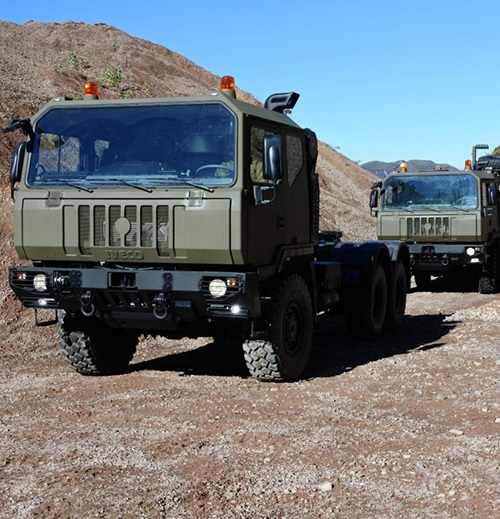 The contract encompasses purpose designed 6x6 military logistic vehicles from Iveco DV’s high mobility truck range. Designed as troop and transport carriers with a self-recovery winch, the vehicles offer exceptional mobility (Central Tyre Inflation System included) and fording capability to provide tactical support to any military operation. Moreover they are C-130 air transportable. This contract results from the customer’s full satisfaction with the performance and reliability of the 57 vehicles ordered in 2015, consisting of high mobility trucks in 6x6, tractor 6x6, 8x8, 8x8 with hook lift, 8x8 with trans container configurations, which have been already fielded in Romanian territory. With this contract, the solid, established and trusted relationship between the Romanian Ministry of National Defence and Iveco DV is further extended, enhancing the company’s position as a key industrial truck supplier.